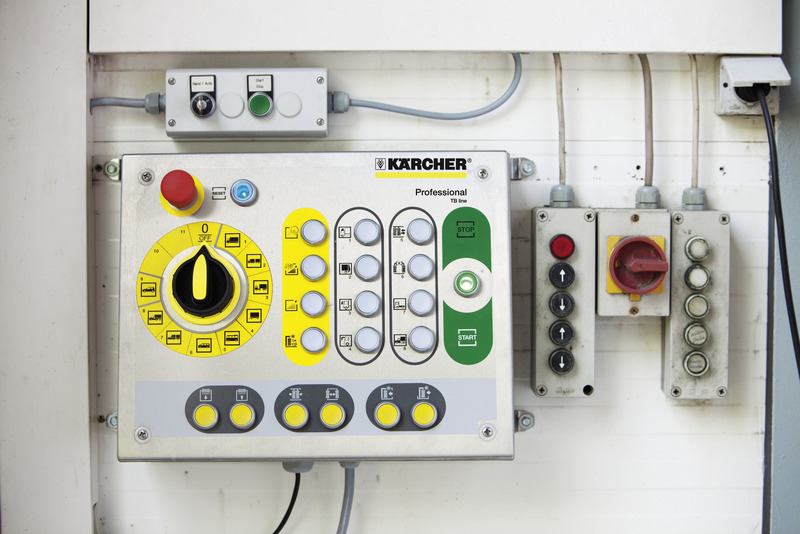 Operation panel advanced 48120510 https://www.kaercher.com/my/accessory/operation-panel-advanced-48120510.html 11 wash programs + stop via rotary switch dialable, additional wash program options can be selected by push buttons. Manual functions roof brush lifting/lowering, side brushes in/out and gantry forwards/backwards possible. All buttons are illuminated. 11 wash programs + stop via rotary switch dialable, additional wash program options can be selected by push buttons. Manual functions roof brush lifting/lowering, side brushes in/out and gantry forwards/backwards possible. All buttons are illuminated.